Nothing can top a shot of a genuine smile from a Bat Mitzvah girl, and it's moments like these that we have loved to capture throughout our years working in Los Angeles Event Photography. This image was processed in warm, nostalgic black and white tones to enhance its photo journalistic qualities and to keep focus on the simple beauty of the moment. 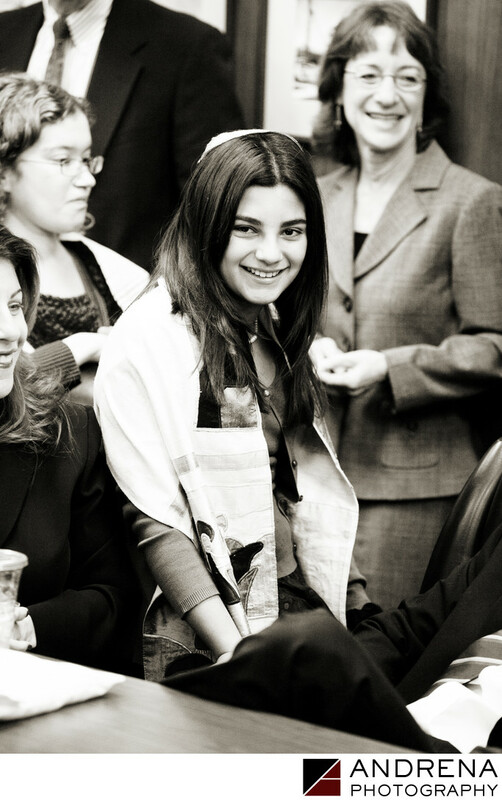 The Bat Mitzvah girl is surrounded by love and support in the joyous faces of those around her, and you can tell by her glowing energy that she feels the support of her family and the Jewish community as she takes the next steps towards adulthood. Black and white processing is particularly wonderful for photographs showcasing candid expressions.